Is your hamster sick? Then our hamster health page will definately help you to have an idea what your hamster has and how to cure your dear hamster. 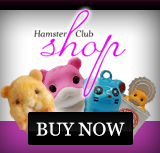 Our hamster health section is constantly being updated with new information. Our new updated section is Hamster Pyometra. Read about Hamster Pyometra by clicking here. 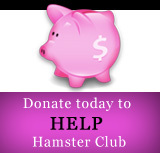 In the meantime do not forget to Join Hamster Club at www.GuineaPigsAndHamsters.com It is absolutely FREE!